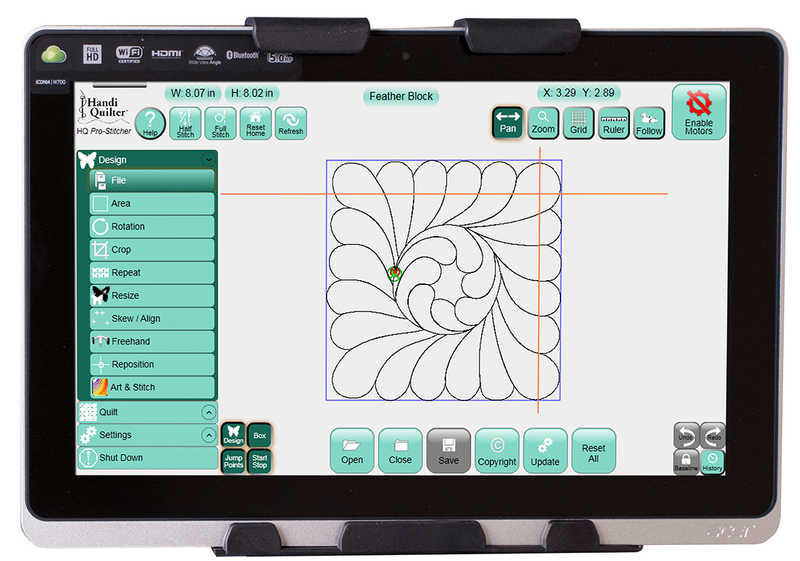 Easily operate HQ Pro-Stitcher from a lightweight touchscreen tablet computer that is conveniently mounted on top if the machine. The HQ Pro-Stitcher is available for the Simply 16, Avante 18, Fusion 24 or Infinity 26. Expand your quilting possibilities with this easy-to-learn, easy-to-use, computerised system and have fun finishing more quilts! Combine your own design skills with Art & Stitch (included) to create one-of-a-kind quilting motifs.